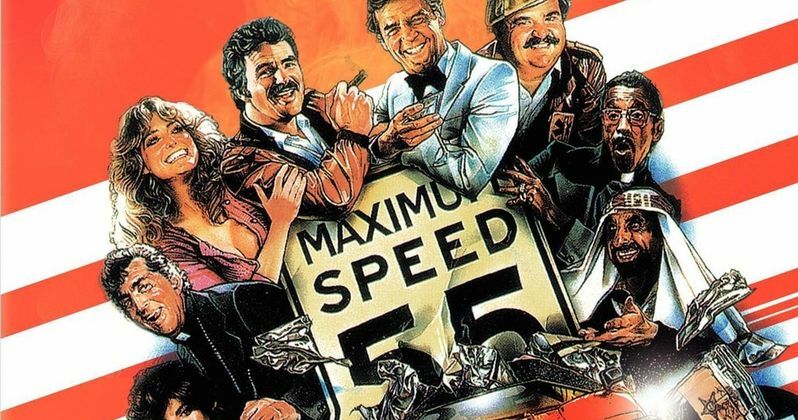 After several years in development, Warner Bros. is finally moving forward on a new incarnation of The Cannonball Run. Deadline reports that the studio has secured the rights to the original 1981 classic, hiring Etan Cohen to write the script and direct. This report claims the studio doesn't consider this project a "remake," but rather a "relaunch" of the franchise. Back in 2011, we reported that Warner Bros. was in discussions to team up with auto manufacturer General Motors for a Cannonball Run remake. At that time, the studio was eyeing directors such as Guy Ritchie (The Man from U.N.C.L.E.) and Shawn Levy (Night at the Museum: Battle of the Smithsonian). It seemed that deal never went through, but now the studio has acquired the sequel and remake rights from the copyright holders, original The Cannonball Run writer Brock Yates, the estate of director Hal Needham and Fortune Star LTD. The Cannonball Run starred Burt Reynolds, Roger Moore, Farrah Fawcett, Dom DeLuise, Dean Martin, centering on a cross-country road race with outlaw drivers doing anything it takes to win. The massive ensemble cast also featured stars such as Jackie Chan, Adrienne Barbeau, Terry Bradshaw, Sammy Davis Jr. and Peter Fonda. The movie made $72.1 million during its theatrical run in 1981, which, when adjusted for inflation, is the equivalent of a $225.8 million box office take today. The first movie, which was released by 20th Century Fox, spawned Cannonball Run II, released by Warner Bros. in 1984 and Orion's Cannonball Fever in 1980. The movies are based on five actual cross-country races, from New York City to Rendondo Beach, California, created by Brock Yates when he was an editor at Road & Track Magazine. To this day, there are still fans that recreate these races, to try and break the records set by those who participated in the original races. Andre Morgan is producing alongside Alan Gasmer, although it isn't known when production will begin. Etan Cohen made his directorial debut with last year's comedy Get Hard, which he also wrote. His other writing credits include Men in Black 3, Tropic Thunder and Idiocracy. Are you looking forward to a new version of The Cannonball Run?